ESOTERIC ANTENNA, are pleased to announce the release of the marvellous new live album by VAN DER GRAAF GENERATOR! In June 2013, Peter Hammill, Hugh Banton and Guy Evans took to the road in Europe to present a series of live concerts that featured a set list that excited devotees of Van Der Graaf Generator like no other for many years. The band had decided the time was right to present their epic classic piece "A Plague of Lighthouse Keepers" in its entirety on stage for the first time, along with Peter Hammill's equally epic "Flight". As the centrepieces of the band's live set, a series of wonderful concerts took place, drawing on the classic material from the band's past, as well as their more recent albums such as "A Grounding in Numbers". Fortunately, some of these shows were recorded for posterity and have now been gathered together to form "Merlin Atmos". 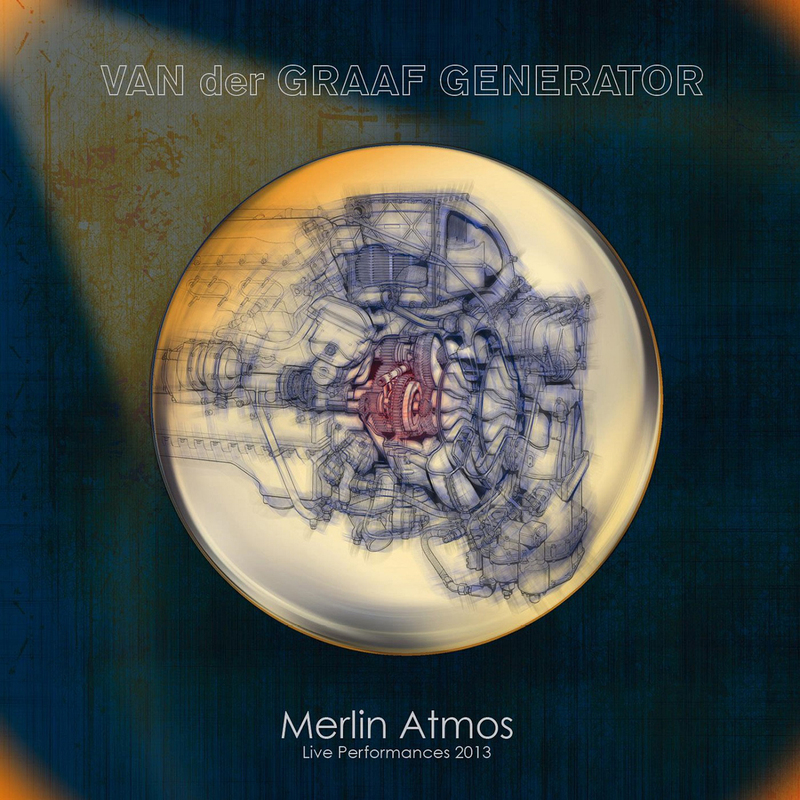 Arguably the finest live album in the history of the band, "Merlin Atmos" confirms Van Der Graaf Generator as a continuing musical force and explains the loyalty and respect they continue to receive from devotees the world over. "Merlin Atmos" is a stunning musical statement from a stunningly innovative band. This strictly limited edition 2 CD digipack edition features a 70 minute CD of "Extras" recorded on the 2013 European tour including such classic tracks as 'Scorched Earth', 'Man-Erg', 'Meurglys III, the Songwriter's Guild' and 'Your Time Starts Now'.